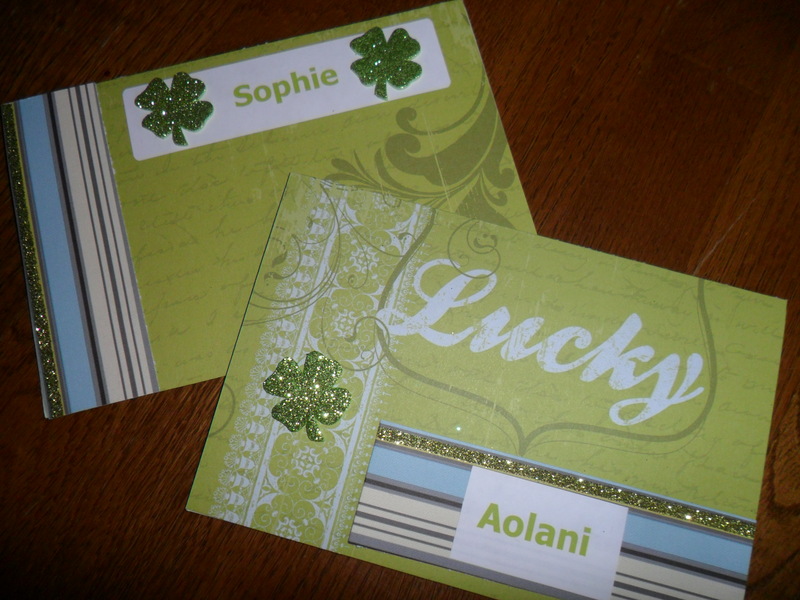 We spent last weekend making St. Patty’s Day cards for all of Olivia’s cousins! 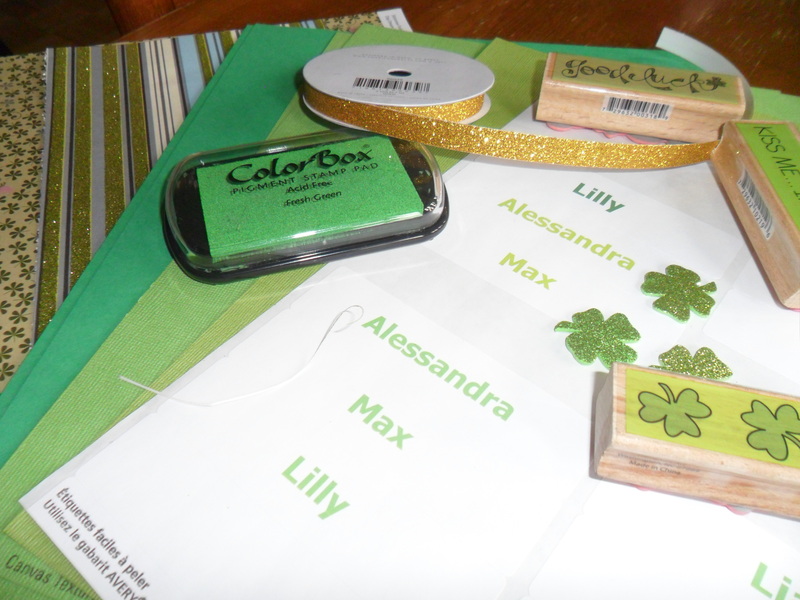 First we printed out all their names on computer labels in different color greens. 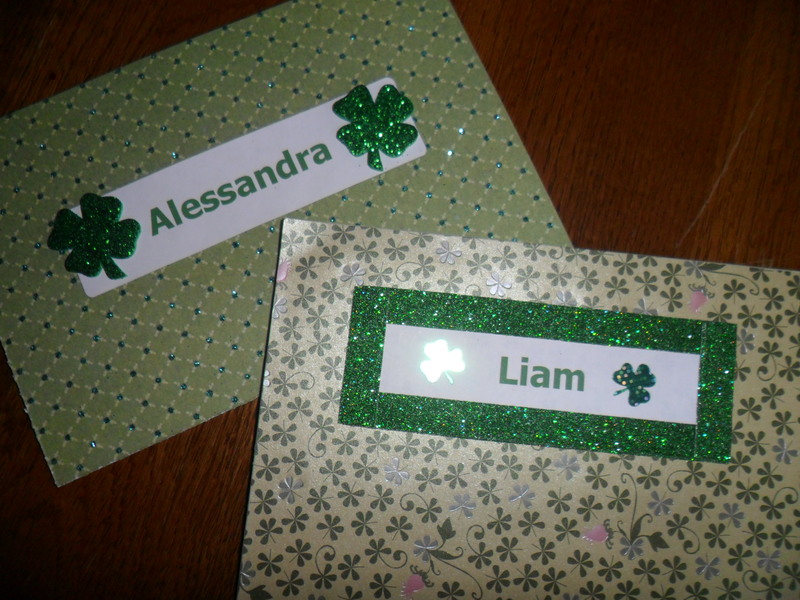 Then we got out all of our St. Patrick’s Day craft supplies: stickers, green paper, gold ribbon and shamrock stamps. We designed a different card for everyone. 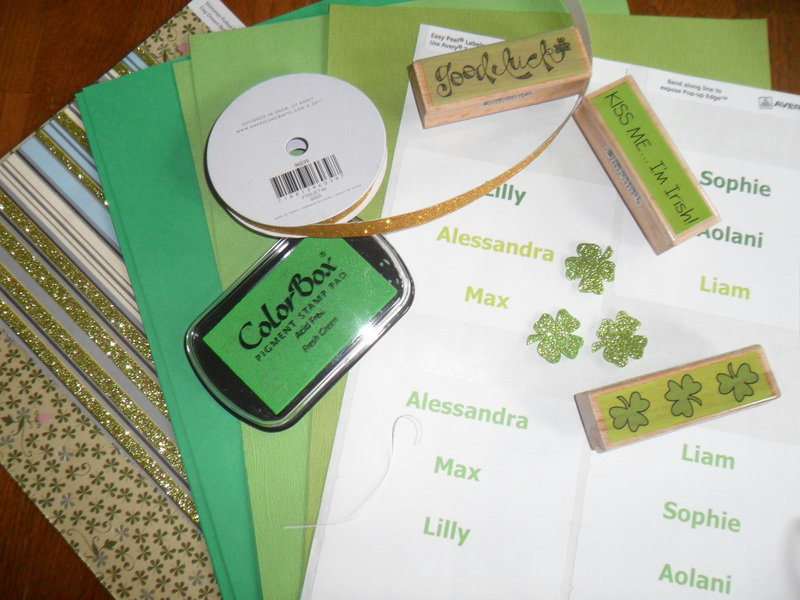 Hope you are having a good week and gearing up for a fun St. Patrick’s Day. 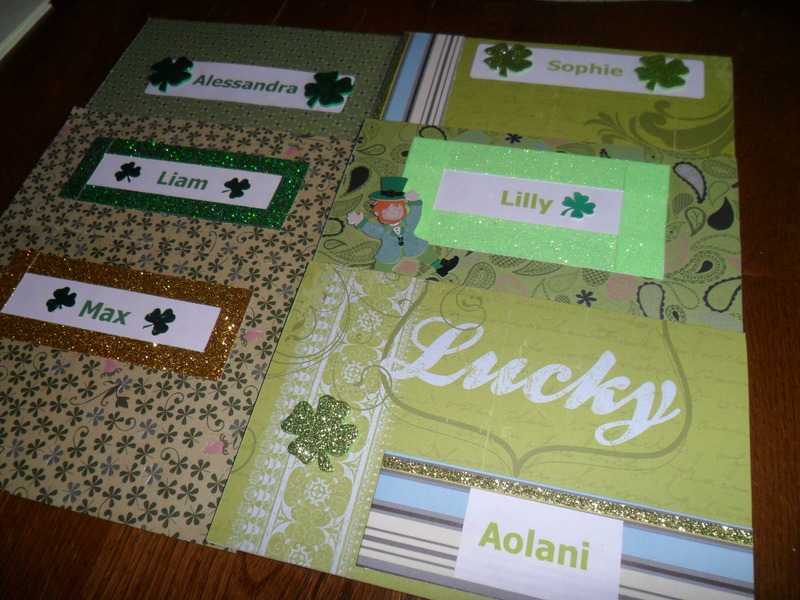 I’ll post more this weekend with some fun Irish recipes and what the leprechauns are leaving Olivia!